Only 1 - Heated Seats - $309.80 B/W model left in stock! New vehicle pricing includes all offers and incentives. Tax, Title and Tags not included in vehicle prices shown and must be paid by the purchaser. While great effort is made to ensure the accuracy of the information on this site, errors do occur so please verify information with a customer service rep. This is easily done by calling us at (855) 549-9944 or by visiting us at the dealership. Rear View Camera, Heated Seats, Wireless Charging, SiriusXM, Spray-On Bedliner! We're more than just GM Dealers, we're also GM Drivers! This black crew cab 4X4 pickup has a 8 speed auto transmission and is powered by a 308HP 3.6L V6 Cylinder Engine. 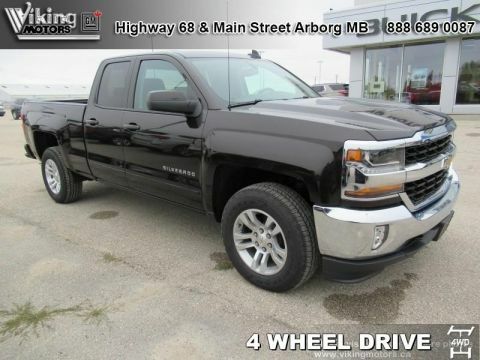 This vehicle has been upgraded with the following features: Rear View Camera, Heated Seats, Wireless Charging, Siriusxm, Spray-on Bedliner, Sliding Rear Window, Remote Engine Start. 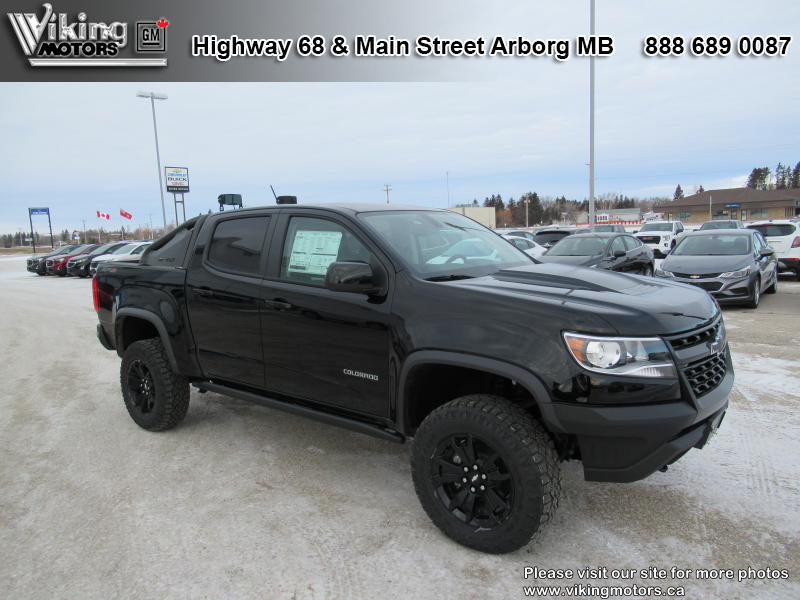 Buy this vehicle now for the lowest bi-weekly payment of $309.80 with $0 down for 84 months @ 2.49% APR O.A.C. ( Plus applicable taxes - Plus applicable fees ). Incentives expire 2019-04-30. See dealer for details. 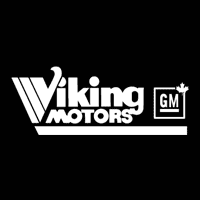 Viking Motors has been providing Quality Vehicles & Service since 1958. 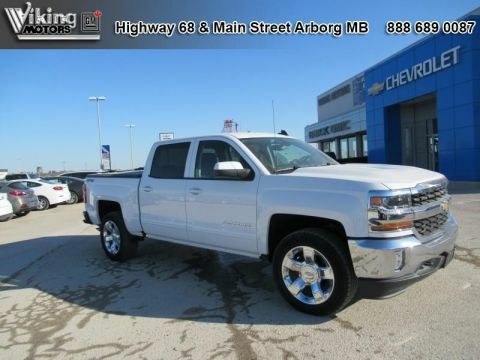 We have proudly serviced the towns of Arborg, Gimili, Selkirk and the Winnipeg area with the foundation of our business being customer service. Not only do we sell, service and repair vehicles we create friendships. Come in and discuss your vehicle needs and be treated with the respect you deserve or give our team a call at 1 888-204-2342. 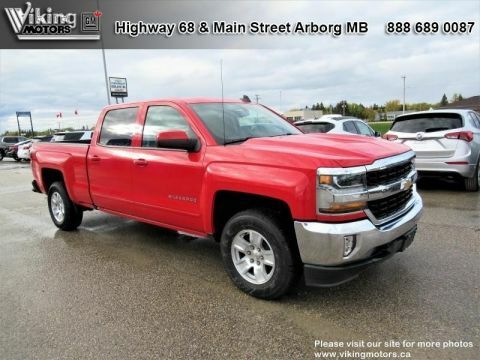 Thank you for making your way to Viking Motors, your certified Buick, Chevrolet, GMC dealer serving drivers throughout Arborg and the surrounding areas. At our dealership, you’ll find a solid selection of new Buick, Chevrolet, GMC for sale, as well as a carefully inspected lineup of pre-owned vehicles. We also have a well-connected finance center run by a qualified team of finance experts, who can help you get the right loan or lease in a quick, easy, and transparent manner.